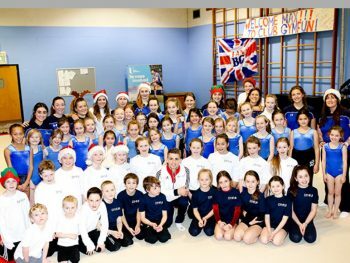 GymFun Gymnastics Club is a Newtownabbey based gymnastics club. Find out more about us. 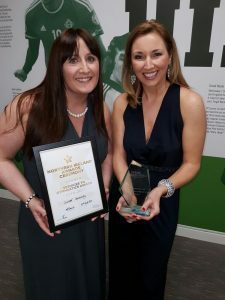 Founded in 2005, GymFun Gymnastics Club began as a Newtownabbey based Gymnastics Club specialising in recreational gymnastics, inclusive gymnastics and trampolining. Now we have extended provision to the City of Derry. We have a unique partnership with Ulster University and are based at the Jordanstown and Magee Campuses. We provide fun-filled classes, training, participation and performance opportunities for boys, girls, teenagers and young adults of all abilities. The name GymFun reflects our approach to the sport of gymnastics. Our motto is ‘Serious Smiles' which captures the spirit of all of our activities. We focus on developing children's fundamental movement skills and confidence through a positive and FUN environment. We believe that all children can benefit from postitive gymnastics experiences and that this can help them develop the physical literacy needed for an active life. We fully subscribe to the belief that gymnastics is to sport and physical activity as the alphabet is to reading. We therefore emphasise the mastery of gymnastics skills rather than competitive success. It is our belief that all children, regardless of ability, should be provided with an enjoyable, high quality, recreational gymnastics experiences to enable them to achieve their potential. We strive to ensure our classes are run to the highest standards and we are constantly evolving our programme. 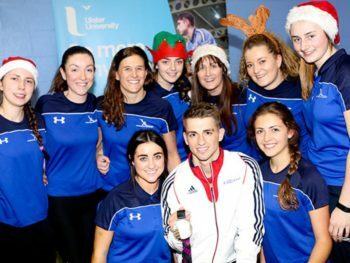 GymFun Magee was established in 2019 in partnership with Ulster University. Classes take place on the Magee Campus. We aspire to growing the membership to 120 members between 2019 and 2021. This new adventure is underpinned by a student employability programme which is open to Ulster University School of Sport and North West Regional College sports students. The undergraduate sport students will train as gymnastics coaches and assist the classes at Magee throughout their studies. At GymFun Gymnastics Club, in keeping with our 'Serious Smiles' approach, we believe in providing professional recreational gymnastics provision and strive to ensure that our member's gymnastics experiences are as positive and happy as they can be. GymFun is the proud recipient of the British Gymnastics 'GymMark' accreditation. This quality mark is in recognition of the safe, child friendly, effective environment we have worked very hard to develop. We hope that this accreditation helps reassure parents and carers that they are choosing the right club for their little GymFunners! 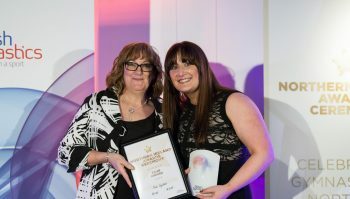 In 2018 GymFun became one of Northern Ireland's first clubs to have been awarded the British Gymnastics Equality Standard accreditation. Affirming our commitment to provision of inclusive, fair and equitable experiences to all our members regardless of their potential or ability. GymFun Coaches are amongst some of the most experienced recreational coaches in Northern Ireland. Many of our coaches (Sinead Connolly, Kelly Morrow, Pippa Davis, Molly Davies) are actively working for British Gymnastics (as Development Officers and/or Tutors and/or Assessors) and help to develop the sport across the province through this work. The majority of our coaching team are studying sport Ulster University undergraduate or foundation degree. Education, training and continuous professional development are a focus for all of our team. We hope this commitment to constant learning, improvement and change is reflected in the quality of our GymFun classes. 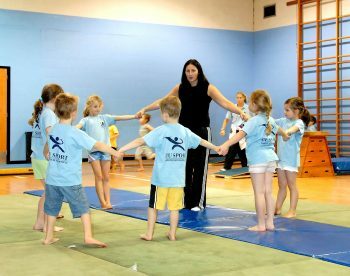 Developing the gymnastics coaching workforce is one of our priorities at GymFun. We work in partnership with Ulster University and British Gymnastics NI, delivering the GymFun Student Employability Programme. This programme is unique in the UK and is the most significant contributor to recruiting, training and deploying new coaches into the sport of gymnastics in Northern Ireland. We are proud to say that many of our graduates have gone on to open their own gymnastics clubs and/or are working in full time gymnastics careers, impacting the development of the sport across the province. We are also working with the IFA Young Girls Excellence programme. This work involves providing gymnastics specific strength, conditioning and flexibility training to the IFA junior girls squads. Through this innovative initiative it is hoped that the young aspiring footballers will enhance their fitness, physical strength and body management and in turn lead to improvements on the pitch!